It’s a shame it’s so over used when blue can be such a pretty colour. 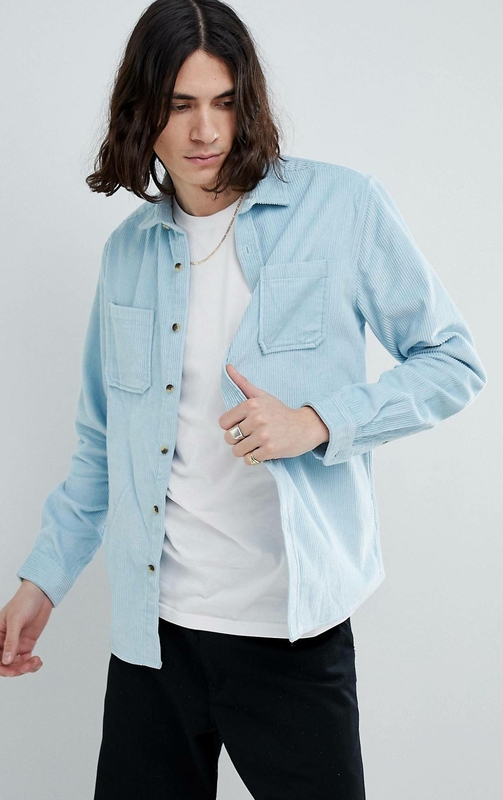 ASOS currently has this gem on offer, it’s a very soft cord jacket by ASOS themselves. It feels wonderful to wear and not too heavy, perfect for early spring days which are almost, but not quite warm enough. The colour is bright and cheery. My problem with Menswear is colour, far too often colours are confined to the ordinary, black, grey and bloody navy. Frankly as a person who loves bright colour, the situation is an annoyance. Well, I went looking for a denim jacket, something in a colour which hadn’t been seen before, and I found it. While browsing ASOS I found this beauty by Bershka in mint green! 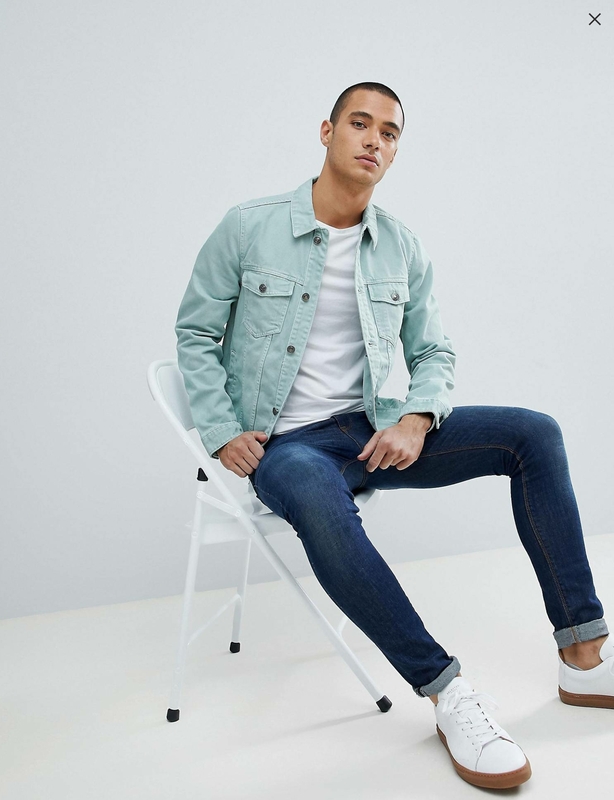 As it’s a fairly standard denim jacket, you probably know how it feels. They don’t really keep you warm, they’re more of a fashion statement than anything. So why not lose the blues and stand out from the crowd? I found that it goes very well with a pale pink jumper underneath. Edit: While wearing it I discovered how deep the inside pockets are, I almost lost my phone in one. When the time is right, a person can sometimes find a preference, and announce it to the world. Maybe they’re gay or perhaps bi, or trans. It is their own decision and nobody, not you nor I can make it for them, perhaps it’s one of the loneliest times in a person’s life, and perhaps it is one of the most difficult they’ll ever make. None of us can look inside and analyse who a person is, because we cannot see them in their entirety. Much of that which makes up a person is hidden from view. It is rare that someone should bare their souls to us, but wonderful when it happens. We should never brand someone with an identity, it’s none of our business.